Koofr now supports a new type of external cloud connection - OneDrive for Business. 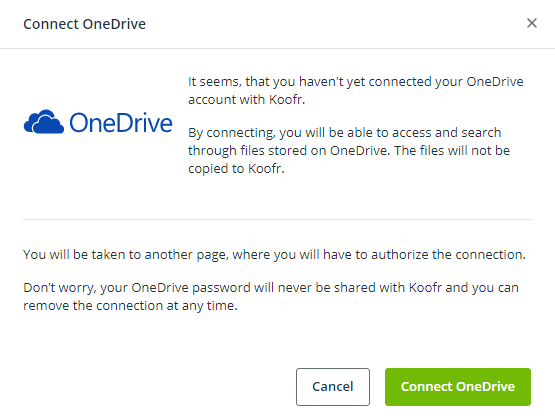 In addition to your personal OneDrive account, which you could connect in the past, you can now have your business account accessible inside the same Koofr account as well. Connecting OneDrive for Business is as simple as any other external cloud. Just clock the Connect OneDrive button and you can now login into your personal or business Microsoft account.